Find My Workspace lists over 95% of the business centres market in Inverness. Simply click Request Quote to check pricing for one office, or Add to Basket for multiple offices. 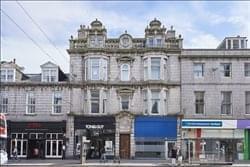 Centrally located offices to let in Inverness. This centre is prominently located, immediately adjacent to the main entrance of Inverness Railway Station at Academy Street. This centre is an impressive Grade A listed office building which provides a range of office suites benefiting from high ceilings and good natural daylight. The offices have been internally refurbished and upgraded, and a lift has been installed to all levels to meet DDA Requirements. The building features an eight-person passenger lift, flexible lease terms and open plan office space. There are high ornate ceilings with large windows providing a high level of natural daylight. Neighbouring occupiers within the estate include Ledingham Chalmers, Saffrey Champness & Innes & Mackay. The office space benefits from suspended ceilings with a mix of surface mounted fluorescent lighting, carpeted floors and perimeter trunking providing power and IT connections. There is a staff kitchen, male and female toilets provided at first floor level. 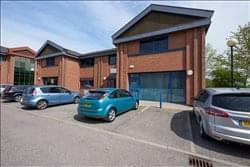 The space is available as a whole or the ground floor suite and first floor are available separately. 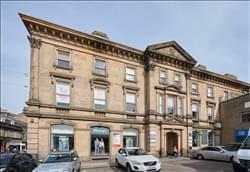 Benefiting from a prominent corner location, directly opposite Inverness Railway Station, the Grade B listed office suites are located on the upper floors, with access from Union Street provided by a security controlled entry system. The suites benefit from good levels of natural daylight, and have suspended ceilings, gas central heating and perimeter trunking for power and network connections. The offices are generally open plan and are in ‘move-in’ condition. To obtain information for your selected Highlands Business Centres, please tick the "Add to basket" box for each office you prefer and complete the form below. We will then send a detailed report via email.